‘Aviation Classics’ was a series of 132 page high-quality glossy publications centred on the world’s greatest aircraft, the events in which they played crucial roles and those who flew, maintained and supported them. Each issue usually comprised an in-depth profile of a single aircraft type, although a few issues looked instead at specific aircraft companies: SAAB, Lockheed Martin and also Alenia Aermacchi, and two issues looked at aerial warfare: WW1 fighter aces, and the Battle of Britain. Although not very original in terms of subjects, the series was well written and very well illustrated with photograohs and drawings, and generally received warm reviews. First issue on sale October 2009. Published quarterly until 2016. The editors were: Jarrod Cotter (issues 1-7) then Tim Calloway (issues 8 to 25, 27-28) and Dan Sharp (issues 26). Twenty-eight (28) issues were produced between 2009 and 2016. All issues are still available in digital format from PocketMags and Zinio. 12-16 page preview versions are also available on Issuu. 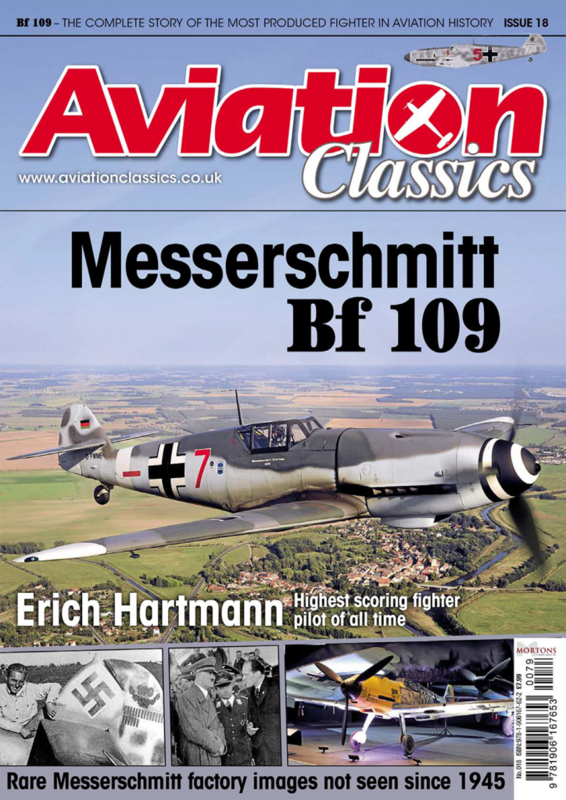 No specials were produced under the ‘Aviation Classics’ banner, but Mortons Media continues to produce high quality bookazines on aviation subjects – see the links under Further Information. Also see the Aeroflight AvBooks database. 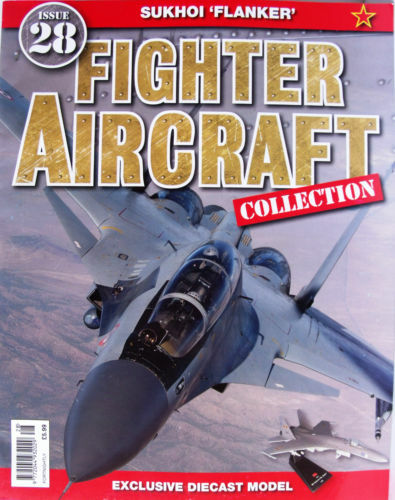 ‘Fighter Aircraft Collection’ was a fortnightly partwork which comprised a 16-page full colour magazine and a diecast scale model of an aircraft. The series built-up into a collection of the world’s most important fighter aircraft over the past 100 years. The printed magazine described and illustrated the aircraft type featured in the model, with some very nice photographs and colour profile artwork. The model was supplied in a cover-mounted bubble pack with a display stand and came in 1:72 or 1:100 scale, depending on the size of the original aircraft. The model was finished in realistic colours and markings. The complete UK collection consisted of 60 models over a 2 year period from September 2010 – an extra 4 models of bomber aircraft where supplied free to subscribers, making a total of 64 models. The choise of some subjects, such as the Fairey Swordfish, Fairey Gannet and A-4 Skyhawk where not exactly in line with the overall fighter aircraft theme, but proved to be quite nice models. This title was also published in a number of Commonwealth countries, with a slightly different sequence of subjects. The Australia/New Zealand version ran to 64 editions, while the Malaysia/Singapore version had only 42 editions. See the full magazine details. Monumental tank – Polish T-34 survivor described & illustrated; Talking point – the “In Action” series: reference or rip-off? Dornier Do 17/215 Nightfighters – colour schemes & modelling tips; Japanese WW2 Cockpit Colours – Part 2, IJNAF; Tasman – the Rex Barker story – the history of Tasman & Kiwi Wings; Albatros – de Havilland’s elegant airliner; Hot Off the Workbench – reviews of the latest from Accurate Miniatures and many others; Not on the Workbench – sorry saga of a mistaken purchase! Dornier Do 18; Mirage IIIO Part 2 – kit survey; contest-winning Mustang; Panzerjaeger IV L70; Czech B-24 Liberators; Polish pin-up girl – striking Mustang nose art! The Curtiss SB2C Helldiver; TBM-3 Avenger; Fokker DR1 Triplane; Thunderbirds are go! You can contribute to our databases and feature articles by logging in as a Subscriber and ask Admin to be upgraded to a Contributor. To login see the Meta box below. (See User Roles Explained in the top menu for more details). Get involved with our crowd-sourced Aviation Books Database. A useful website? Please donate to help us get bigger and better.